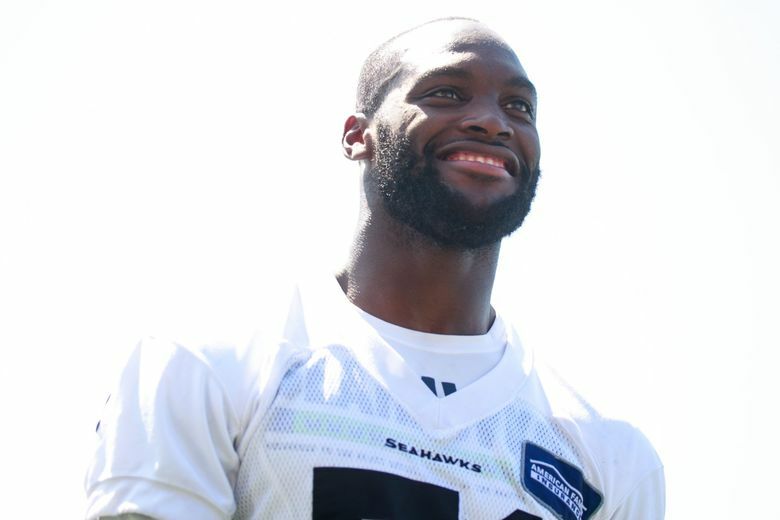 Outside linebacker Barkevious Mingo will be counted on to provide a pass rush in his first season with the Seahawks. But without a high school assistant principal, he would never have made it to Seattle. 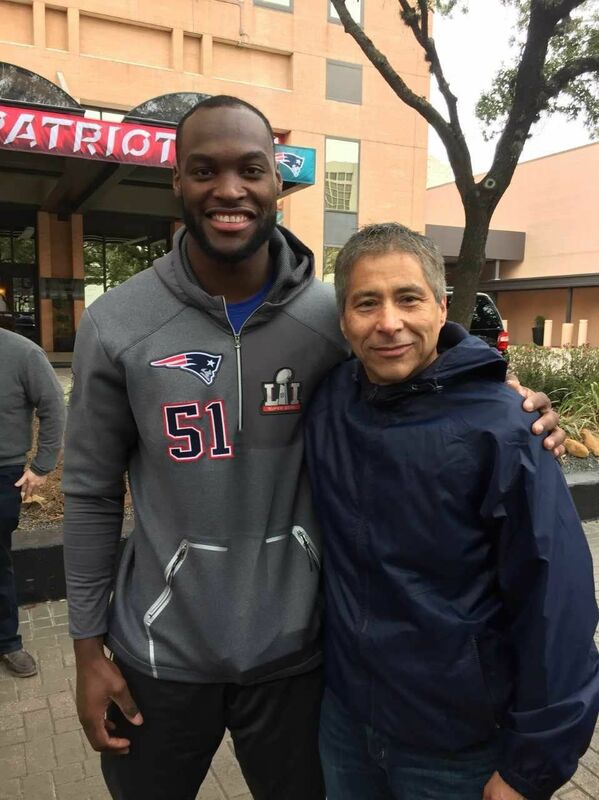 Barkevious Mingo’s football career began with a favor. It was late 2006, and the lanky 6-foot-5 junior ran track and played basketball at West Monroe (La.) High School. He also fouled. A lot. “I was … aggressive,” the first-year Seahawk outside linebacker said with a guilty grin last week. “Maybe clumsy. I had the football coaches that came up and saw how I ran track and saw how I was fouling out of basketball games and they’d say, ‘Hey, you should come out this spring.’ I was like, ‘Yeah, I’ll do it …’ But I didn’t plan on doing it. Enter James Remedies. An administrator as well as a former basketball and football coach, Remedies saw how Mingo ran. He saw how Mingo competed. He saw how Mingo fouled. In short, he saw a future for Mingo in an entirely different sport. OK, so here’s a basic history lesson: In the spring game prior to his junior season, Mingo replaced an injured starter and promptly piled up 15 tackles. In his first two football seasons, he added 114 tackles, 16 tackles for loss, 13 sacks, two all-state honors and countless scholarship offers. In the three-year college career that followed, the formerly undersized (but overly physical) power forward finished with 119 tackles, 29 tackles for loss and 15 sacks as a defensive end at in-state power LSU. On April 25, 2013, Mingo was selected by the Cleveland Browns with the sixth overall pick in the NFL draft. When he walked across the stage in New York City, his assistant principal wasn’t there to see it … but only because Remedies is admittedly scared to fly. Less than four years later, Mingo extended another invitation — and this one was in driving distance. Mingo provided the ticket. He provided the accommodations. He provided everything. “I told him, ‘Of all the things my kids have ever done for me, this means the most,’ ” Remedies said. On Feb. 5, 2017, Remedies sat inside Houston’s NRG Stadium while the New England Patriots rallied in the second half to top the Atlanta Falcons in overtime, 34-28. Less than a decade after he started playing, Mingo won the Super Bowl. And Remedies accomplished a first. “That was one thing that was on my bucket list that I thought I’d never get to go to,” Remedies said. “But he helped me erase that one. The Seahawks, at the very least, think he’s worth a little bit more than that. In March, Seattle signed Mingo to a two-year deal worth $6.8 million, $3.2 million of which is guaranteed. The 6-5, 235-pound veteran will be counted on to rush the passer and drop into coverage as a hybrid outside linebacker, a la Bruce Irvin in 2014 and 2015. That speed is in precious short supply in Seattle, where the team’s defensive ends — most notably Frank Clark (hand), Dion Jordan (shin) and Marcus Smith II (hamstring) — have been slowed by nagging injuries. Mingo, meanwhile, has appeared in 78 of a possible 80 career games. Still, all that size and speed has yet to yield a steady stream of sacks. The 27-year-old has produced just 114 tackles, nine sacks and one interception with three teams over five largely underwhelming NFL seasons. So, does Mingo feel mounting pressure to finally produce like a top-10 pick? “I haven’t felt pressure since I’ve been in the league,” a seemingly carefree Mingo said. “I had a coach that once said, ‘This is a kid’s game. Have fun with it.’ And I have been having fun every day I step on this field, because it’s a blessing. “I’ve always been motivated just to be the best. Some guy asked that question when I came out of college. How do you want to be remembered? I still say the same thing. I want to be the best outside linebacker. At the very least, he’ll be remembered at West Monroe High School, where Mingo’s jersey hangs on the wall in the weight room. Back home, where it all started, he continues to serve as an example to younger versions of himself. “When he comes back he always comes around the school. Everybody just attacks him, basically,” Remedies joked. “He came to a football game and he wasn’t there hardly any time, and people were coming up, wanting autographs. He takes his time and gives them all the time they need. Maybe, if the game is especially good to him, Mingo will call Remedies in January and extend another invitation. After all, the 2019 Super Bowl is set in Atlanta, less than an eight-hour drive away. Granted, the Seahawks first have to do their part. Then Mingo can return the favor.